(Bloomberg) – Steinhoff International Holdings NV ex-Chief Executive Officer Markus Jooste has agreed to appear before South African lawmakers next week – on condition the hearing focuses on flaws in the financial industry that may have caused the retailer’s shares to collapse. Jooste has repeatedly refused to give evidence to parliamentary committee members, with his lawyer saying he’s no longer a Steinhoff employee and therefore can’t speak on behalf of the company. He quit the owner of Mattress Firm in the US and Conforama in France in December after the retailer reported a hole in its accounts, wiping out billions of dollars of market value. 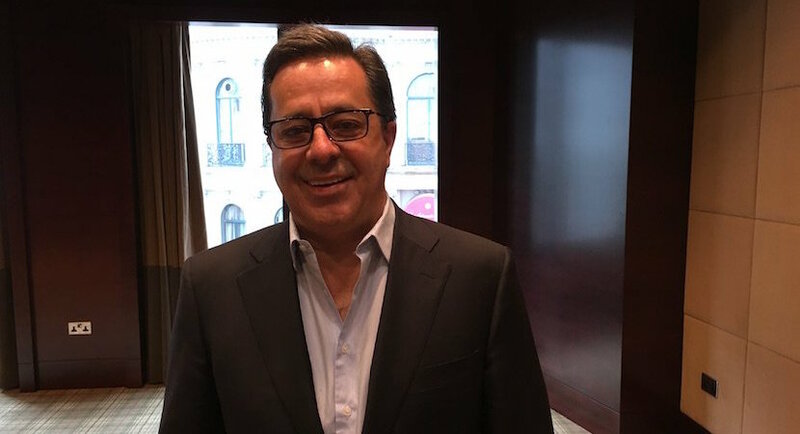 Former Steinhoff CEO Markus Jooste – caught in London during one of his regular visits to the UK capital. While the scope of his hearing will be limited, Jooste’s Sept. 5 appearance before the finance committee in Cape Town is likely to attract considerable interest because he hasn’t spoken publicly since the eruption of the accounting scandal. Steinhoff has referred its former CEO to the police, who are investigating three cases of fraud relating to the company. Jooste’s deal with parliament was released in a court ruling Tuesday. Ben La Grange, Steinhoff’s former chief financial officer, will answer questions on today. He was suspended by the company last week alongside former Company Secretary Stehan Grobler has part of a long-running probe into the financials. (Bloomberg) – Steinhoff International Holdings NV ex-Chief Financial Officer Ben La Grange blamed departed leader Markus Jooste and auditors including Deloitte LLP for the retailer’s accounting scandal, saying he became aware of any wrongdoing only days before the crisis erupted. 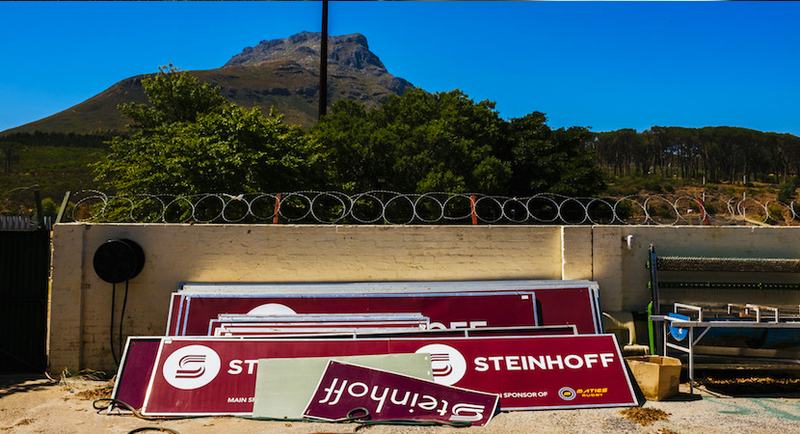 In his first public comments since being suspended by the company last week, La Grange said Steinhoff’s financials were corrupted by third-party transactions connected to Jooste and inflated profit contributions from various parts of the business. “I don’t think I did anything wrong,” he told South African lawmakers in Cape Town on Wednesday. La Grange was speaking alongside current Steinhoff executives Heather Sonn and Louis du Preez, who were updating parliament on the ongoing process of rescuing the retailer. The owner of Conforama in France and Mattress Firm in the US reported accounting irregularities on Dec. 5, wiping billions of dollars off its market value. Jooste quit as chief executive officer the same day, and has been referred by Steinhoff to a local police unit. The former CEO – who has yet to give his side of the story – limited what he shared with La Grange and the duo weren’t close, according to the ex-CFO. “We were not friends or socialised outside a business environment,” he said. The first La Grange knew of the accounting wrongdoing was on Dec. 3, after Deloitte told Steinhoff it couldn’t sign off on financials for the year through September, he said. Deloitte had rubber-stamped accounts for previous years that now have to be restated, and the firm and Steinhoff’s mistake was outsourcing work on various parts of the business to smaller auditors, La Grange said. “A single group of auditors could have prevented what happened here at Steinhoff,” he said. PwC is investigating Steinhoff’s financials and identifying what went wrong and who is responsible. The probe will be “substantially complete” by the end of the year, while a three-year deal agreed to with creditors and a series of asset disposals have secured the immediate future of the company, according to a presentation published Wednesday. That said, a portion of the losses to pension funds as a result of the retailer’s collapse are likely to be permanent, La Grange said, adding that the stock will probably never recover. The shares gained 19 percent in Frankfurt as of 2:37 p.m. local time, though they remain 95 percent below precrisis levels. La Grange stepped down as CFO in January but remained on the payroll as a consultant until his contract was suspended last week. Steinhoff hasn’t given him a formal reason for the sanction, and in any case he was due to stop working for the retailer at the end of next month, he said. (Bloomberg) – After three decades behind the scenes, Stehan Grobler is now in the spotlight. Having met former Steinhoff International Holdings NV Chief Executive Officer Markus Jooste three decades ago, 59-year-old Grobler went on to serve as a long-standing executive while the retailer expanded across the world. But when an accounting scandal erupted at the South African company in December, the lawyer was left exposed. Last week, Grobler became one of just three people to have been publicly sanctioned by Steinhoff for their role in the crisis, which has left the company’s finances in tatters and wiped out billions of dollars of market value. While Jooste quit immediately and is being investigated by police at the behest of the company, Grobler and former Chief Financial Officer Ben La Grange were suspended eight months later as part of an ongoing investigation by auditors at PwC. Grobler declined to comment on his work for Steinhoff when contacted by phone and email, citing confidentiality agreements. What the owner of Mattress Firm in the US and Conforama in France thinks he did wrong is not yet clear, and may be detailed in PwC’s final report, due by year end. What is known is that the executive was involved with the company for more than 20 years as company secretary, head of legal and director of treasury and financing. He resigned in February, but remained on the pay roll in a consultancy position. Grobler’s road to Steinhoff was inauspicious. According to details he confirmed by email, the lawyer went to an Afrikaans-speaking school in Lichtenburg, a small town in the corn-growing region of South Africa’s North West province. He then attended what’s now known as the University of Johannesburg, receiving degrees in commerce, economics and law. He trained with Pretoria-based attorney firm Dyason Inc. and was admitted as a lawyer of the High Court of South Africa in 1989. It was while he was at Dyason that Grobler met Jooste, who was running furniture manufacturing company Gommagomma Holdings (Pty) Ltd in the North West. Having struck up a business relationship, Grobler worked on the merger of Steinhoff’s European operations with Gommagomma and other entities, leading to Steinhoff’s initial public offering on Johannesburg’s stock exchange in 1998. A year later, Grobler was named Steinhoff’s company secretary. Under South African law the holder of that position has duties that include giving directors guidance about their responsibilities, reporting any lack of compliance with the business’s rules and certifying financial statements. By 2000, Grobler was also appointed Steinhoff’s compliance officer and headed up the retailer’s legal department, according to annual reports. He’s unlikely to be the last of the suspensions. Jooste had a group of friends working with him at Steinhoff, many of whom he met in the late 1970s while attending the University of Stellenbosch. They sat on multiple boards together and did numerous interrelated deals. Their loyalties now face the ultimate test. “I expect further action against people who either should not be there because they were incompetent, failed their fiduciary duties or were involved in some way,” Mohamed said. Steinhoff wasn’t Grobler’s only appointment. He was the company secretary for Malenge Sawmills (Pty) Ltd., which eventually became Kluh Investments (Pty) Ltd. That company was involved in selling forestry assets and car dealership properties to Steinhoff at many multiples of their original value from 2001 to 2007, which coincides with the period that Grobler was acting as company secretary. The lazy narrative pushed by some that corruption is a ‘black’ thing and good governance is a ‘white’ thing is smashed today with the simultaneous hearings into #Steinhoff & #StateCaptureInquiry. Both come down to the same thing – basic human greed, failings and criminality. Hoffman Inc. is the firm that also acted as company secretary for Capstone 556 (Pty) Ltd., an investment vehicle set up by Jooste and another former Steinhoff director Claas Daun. Capstone was involved in a series of complex trades in a smaller South African retailer that yielded a multi-million-dollar payday for companies linked to Jooste and Daun. Grobler’s involvement went even deeper because he was also the company secretary for Braecroft Timbers Pty Ltd., which controlled Kluh until Braecroft sold all of its Kluh shares to Swiss-based Fihag Finance Handels AG, the holding company created by Steinhoff founder Bruno Steinhoff. Grobler and the Stehan Grobler Trust have a postal address in Stellenbosch, near Cape Town, where Steinhoff is headquartered. The trust also owns a property on the same street as Jooste in Hermanus, a small seaside town in the Western Cape where the ex-CEO is living, according to the Johannesburg-based Financial Mail.